The 4* Hotel Cheval Blanc is a modern, elegant hotel with all the charm and comfort you would expect of a 4* hotel. 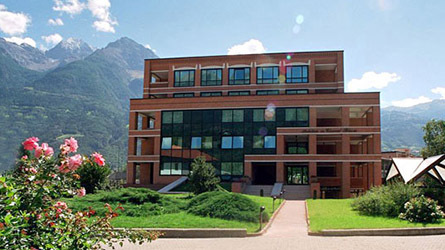 It is situated on the edge of Aosta, although still within walking distance of the centre, and only a short 20 minute walk to and from the our Aosta office. All rooms have private facilities, telephone, minibar and satellite TV. 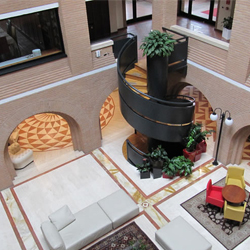 The hotel has a lounge and tranquil bar area, a large meeting room, two attractive restaurants and a lift. Parking is available by arrangement with the hotel. There is also a fitness suite, with a small swimming pool, gym, two saunas and a jacuzzi (there is small charge). 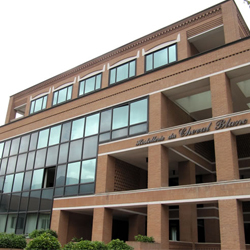 Situated on the edge of Aosta, it gives you easy access to both the town and our Aosta office. Unwind in the Hotel's jacuzzi or saunas. There's even a swimming pool situated within the hotel. Staff in the Cheval Blanc always go that extra mile, you'll be sure to have a friendly experience. Below you will find prices from for the Hotel Cheval Blanc for 3 days, 5 days and 7 days. If you require any different length of break then please state in the Enquiry form at the bottom of the page. A great hotel, with a great location. A perfect place to retire for the evening after a hard days riding. Comfortable hotel, spacious rooms, good breakfast and nice restaurant. 5 min walk from the center of Aosta. PERFECT!